The kitchen can be a safe place so long as you are aware of the hidden dangers that can lurk in there. Of course, we are all aware of the obvious dangers such as sharp knives, burns and spills, but there are other hazards that you may not be aware of, or perhaps you are aware of them but don’t always remember to consider them. 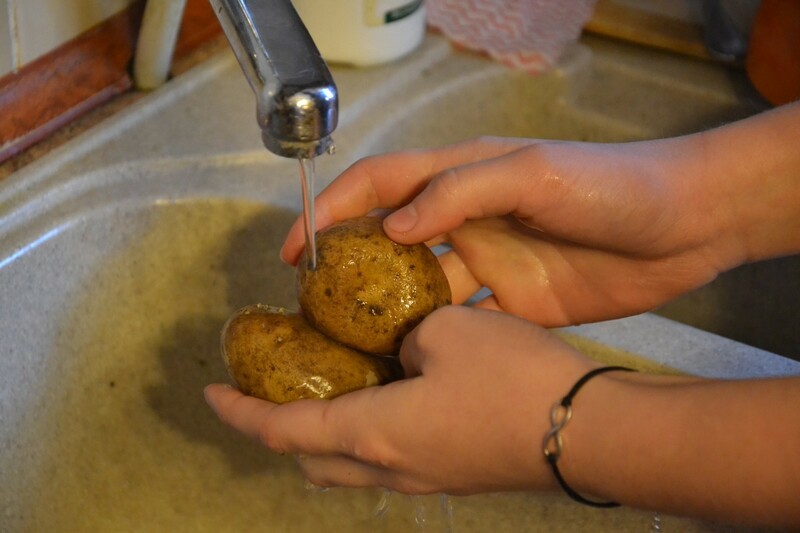 Many people still believe washing raw poultry prior to cooking is necessary to ensure salmonella is removed from the meat. 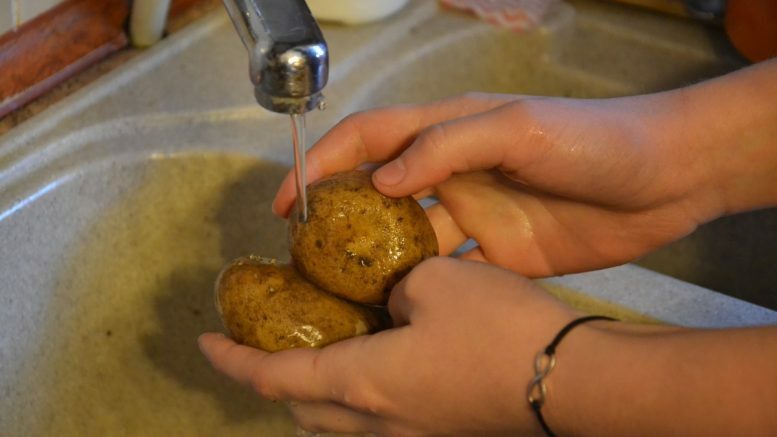 However, the likelihood is that if poultry does indeed contain salmonella, then washing it will simply risk spreading it to other parts of your kitchen, whereas cooking it should kill it. Grease can quickly accumulate inside your extractor fan and inside your cooker hood. Often these items are situated directly over a hob with a naked flame – the combination has the potential to start a fire. Clean your fan and hood regularly following the manufacturer’s instructions. 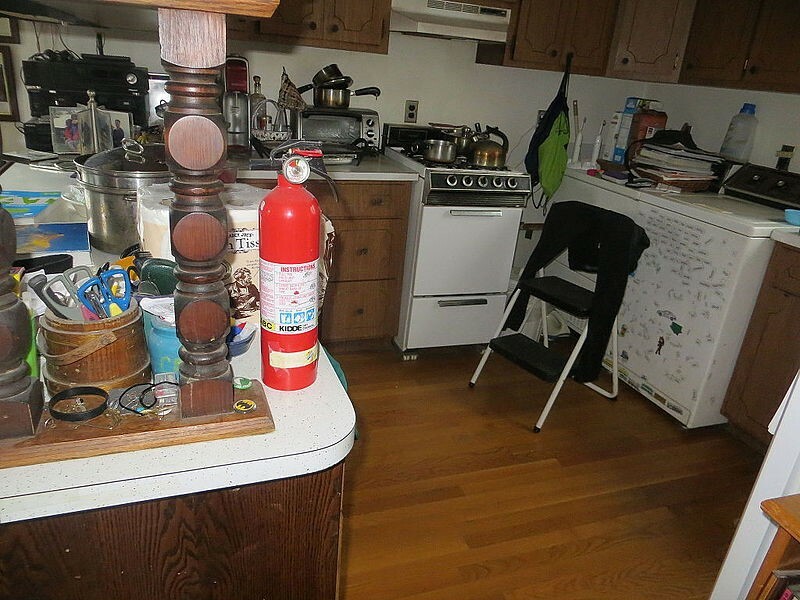 Fires can and do start easily in the kitchen area. Spills of fats and oils can contribute to a fire quickly getting out of hand. A household fire extinguisher suitable for use in the kitchen, often known as a multipurpose dry extinguisher used for flammable liquids, electrical fires and combustibles, can help to alleviate a situation before it gets out of hand. Correct disposal of grease and oil will help to reduce the chance of a greasy extractor hood and also reduces the risk of oil spills. Using stainless steel grease traps that are in compliance with BS EN 1825-1:2004, as shown at https://www.greasetrapsukonline.co.uk/legislation-14-w.asp, such as the grease traps listed by ukgreasetrapsdirect.co.uk/stainless-steel-grease-traps, means grease is safely disposed of. Kitchen sponges harbour much bacteria, and when using a cloth or sponge to clean a kitchen you can spread those germs around. Microwaving a wet sponge for a minute offers the most effective form of sterilisation, but avoid doing so with a dry sponge as that then becomes a fire hazard. In addition to these tips you can help to keep your kitchen hazard-free by being aware, keeping up to date with current legislation and advice and moving safely during busy times. Be the first to comment on "Hidden Kitchen Hazards That You Should Be Aware Of"